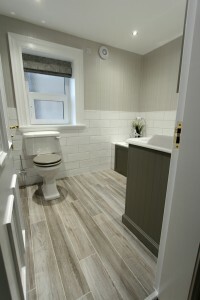 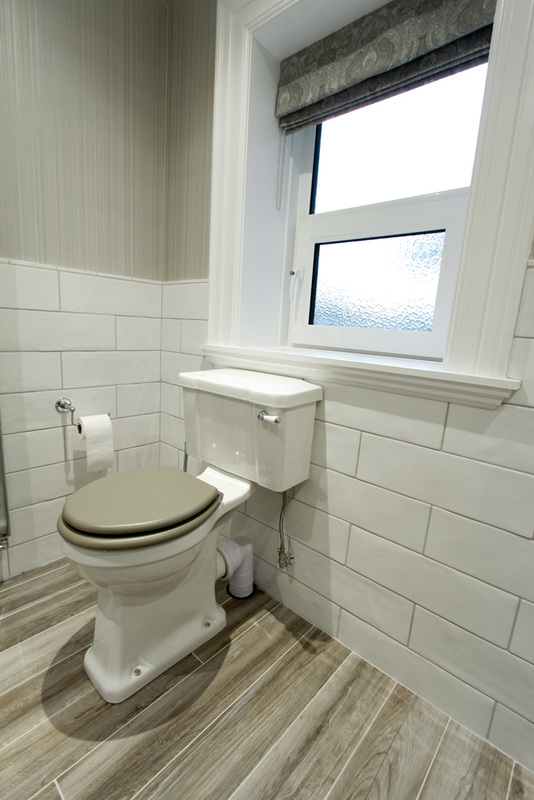 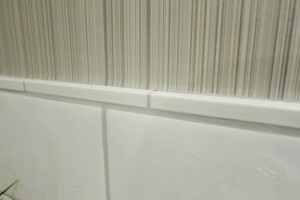 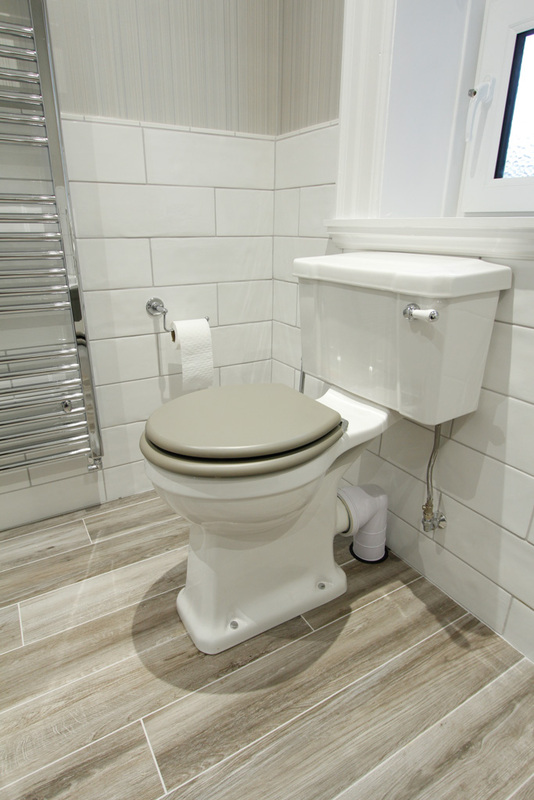 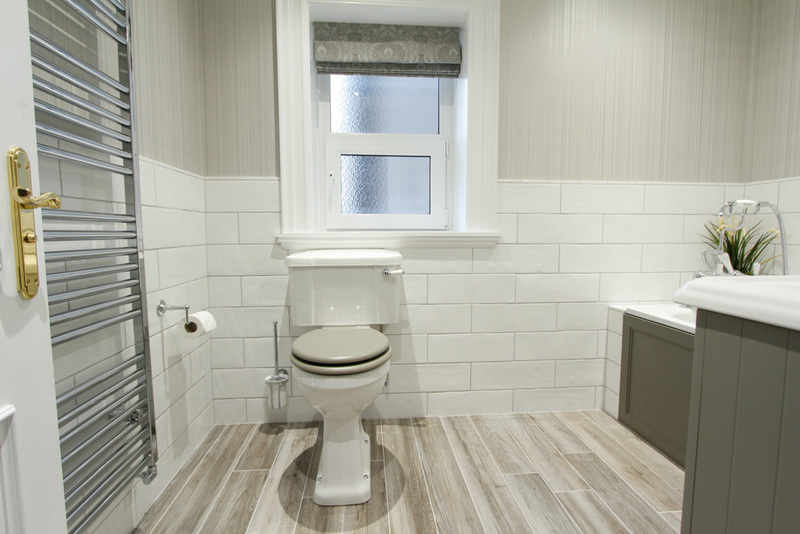 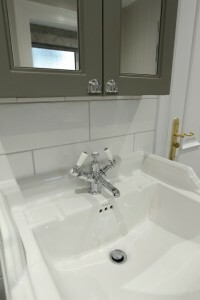 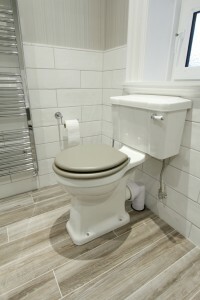 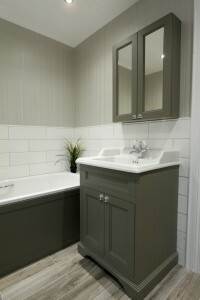 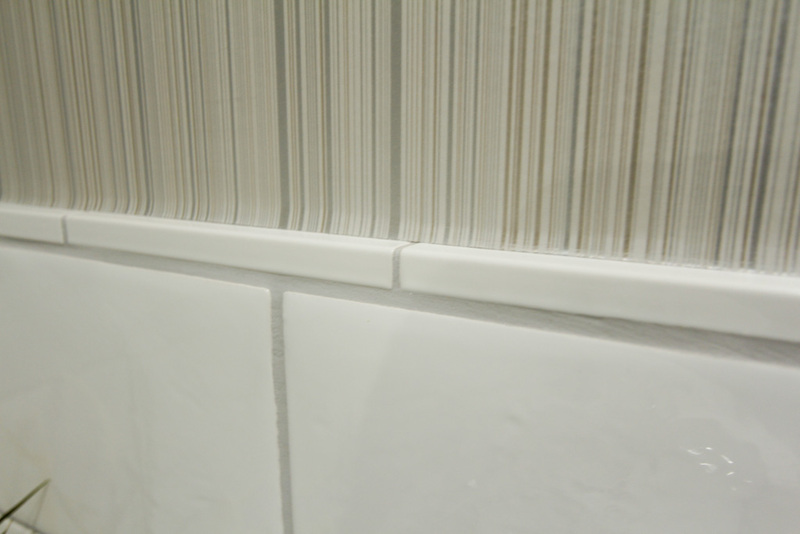 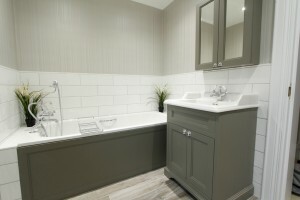 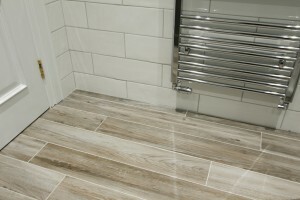 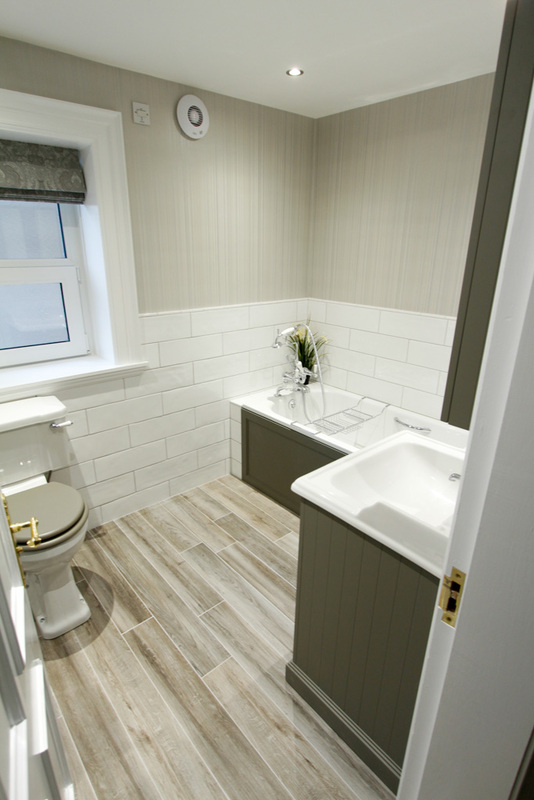 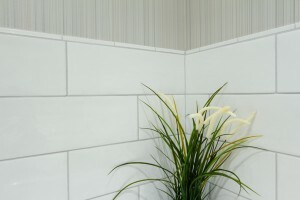 We installed two bathrooms in this wonderful seaside apartment. 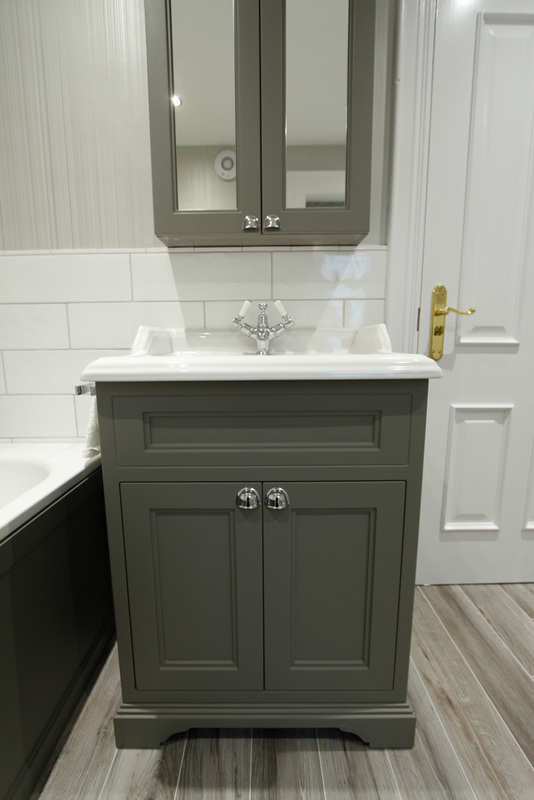 The owners have a keen eye for traditional furniture and styling, we we wanted to carry this forward in the new main bathroom. 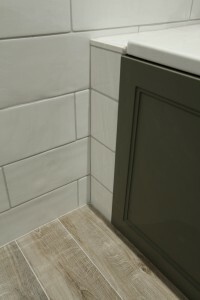 Large white bricks were chosen to contrast with the dark olive Burlington vanity units and we installed a Bette steel bath finished with a matching Burlington bath panel which is very effective. 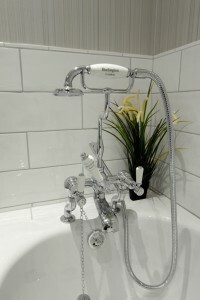 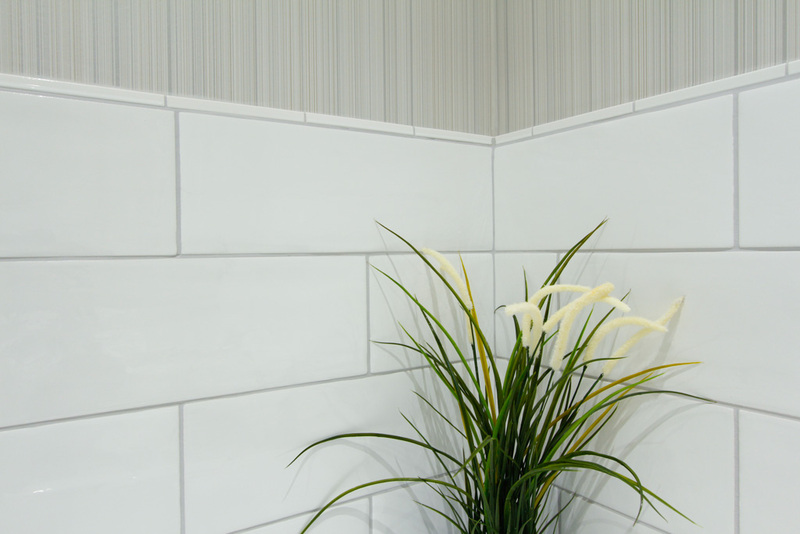 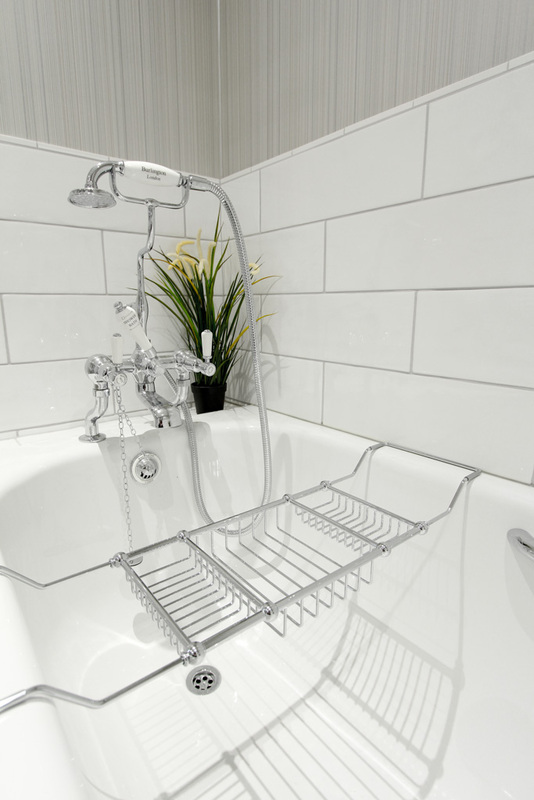 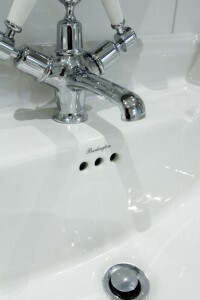 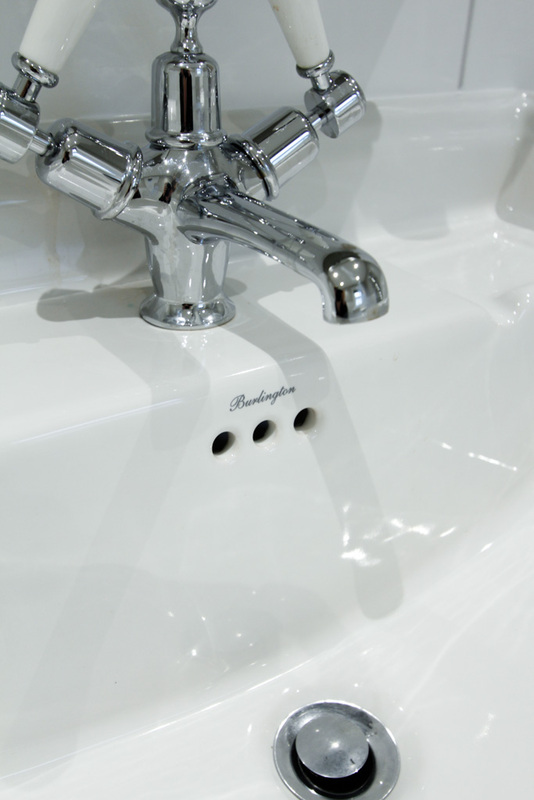 The Burlington range is on display in our Belfast showroom. To arrange an appointment to discuss options for your new bathroom please get in touch on 02890770044 to speak to Michael or Brian.